Know what you need to know...! 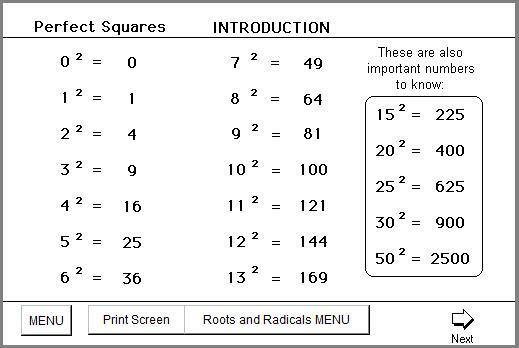 (Pre-Algebra) > Know what you need to know...! 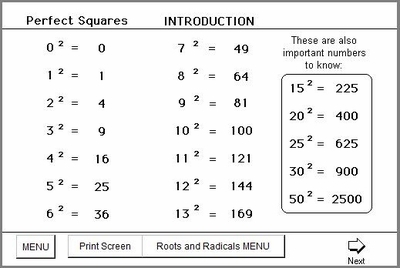 Memorize the perfect squares so that you will be quick at simplifying and solving square roots and their equations.